On a very busy weekend that included the Highgate Harriers Night of the 10,000m PBs, Loughborough International Athletics match, European Race Walking Championships and the BMAF Road Relays, which are featured in separate reports online, there were plenty of other highlights. 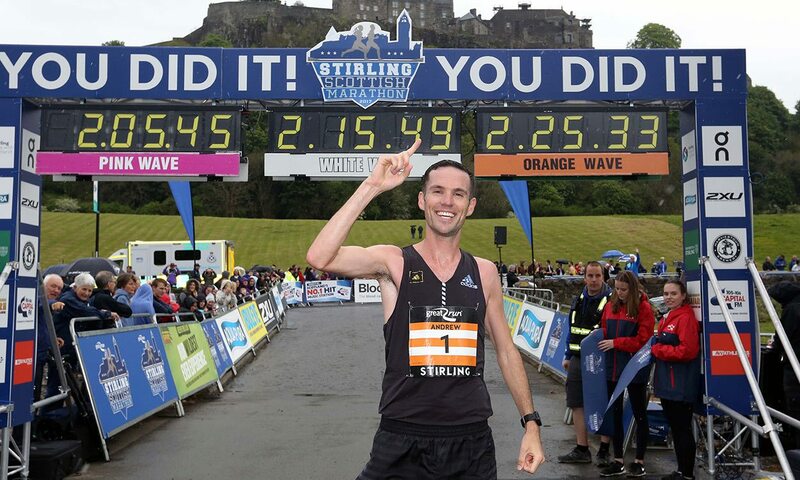 Andrew Lemoncello, who unusually can boast a British title at steeplechase, 10,000m and the marathon, was a clear winner of a highly successful inaugural event. Lemoncello won in a time of 2:25:01 to claim victory by well over a kilometre from Iain Reid (2:29:44) and Robert Gilroy (2:34:17). The Scottish winner ran the steeplechase for Britain in the 2008 Olympics. The women’s race was won by Lesley Pirie in 2:47:48 (2:47:36 chip) which placed her 11th overall. Jill Smylie was second in 2:57:06 and Juliet Champion was third in 2:58:38. 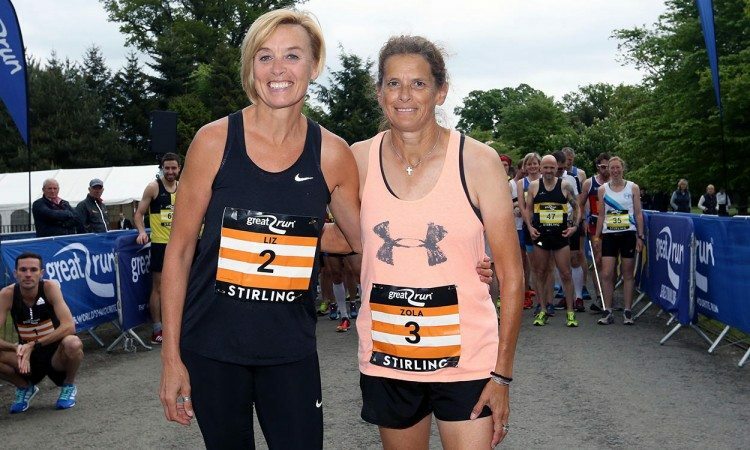 Most eyes in the women’s race were on world gold medallists Zola Budd and Liz McColgan. Budd, who won two world titles for England in the world cross-country championships and set a world 5000m record at Crystal Palace, finished ninth in 3:12:25 and was the first W50 competitor. McColgan, who won the 1991 World Championships 10,000m, ran 3:18:32 and was third in the same W50 group. See this week’s Athletics Weekly magazine for full coverage and photographs. Scott McDonald won the men’s race in 15:38 while under-17 competitor Kate Gallagher was first woman in 17:55. Olympic hammer bronze medallist Sophie Hitchon was not far from her British record as she finished second with an excellent throw of 73.97m. It was her second longest throw ever and is a World Championships qualifier. Tiffany Porter was second in the 100m hurdles with a time of 13.00, with younger sister Cindy Ofili third in 13.08. World silver medallist Shara Proctor was second in the long jump with a leap of 6.65m. Nick Miller continued his excellent start to the season with a hammer throw of 76.81m to place third. His British record is 77.55m. Taylor Campbell won the under-23 hammer event with a throw of 71.96m. Zane Duquemin was fourth in the discus with 60.80m. Sarah McDonald was second in the 1500m in 4:09.70, which is the fastest time by a Briton outdoors this year. Lee Grantham won the 62-mile event in a PB 6:42:45. The East Cheshire athlete had run 2:21:43 in this year’s London Marathon. Anthony Clark was second in 7:04:30 and David Mclure third in 7:23:40. Experienced ultra international Sue Harrison won the women’s race in 8:01:25, with debutante Sophie Carter second in 8:11:42 and Valeria Seston third in 8:24:50. James Westlake won the men’s race in 31:47 as Johanna Spannagl was first woman in 38:50. The race was won by Abdi Mahamed in 32:38 while Jen Elkins was the leading woman in 36:15. Chris Hollinshead (57:23) and Rachel Olivant (62:20) took the honours. Michael Joyeux won the men’s race in 34:32. Chloe Price was first woman in 40:15.